(BALTIMORE, MD) – (March 10, 2015)- The bright orange knit hat makes the man as Funko brings fans of scifi TV series Firefly the Jayne Cobb with Hat PREVIEWS Exclusive Legacy Collection Action Figure. Available to pre-order from the March PREVIEWS catalog, the “Hero of Canton” Jayne figure will be released in comic book specialty shops in late May 2015. 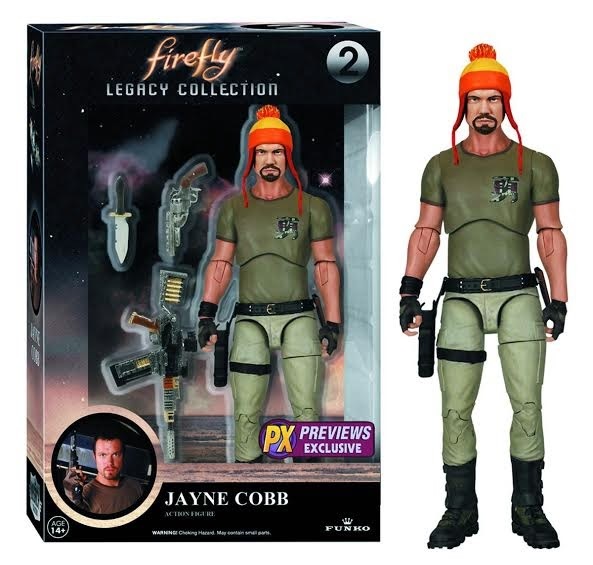 “Browncoats” or fans of Joss Whedon's Firefly can add tough guy Jayne Cobb to their Firefly collection with their very own 6” tall sculpt of actor Adam Baldwin who plays the fearless mercenary, wearing his memorable orange knit cap. The figure features 20 points of articulation and is packaged with three of Jayne’s top choice weapons he can be posed with to complete his hard-core appearance. Fans are encouraged to pre-order their own Jayne Cobb Legacy Collection Action Figure (Item Code: MAR152150, SRP: $19.99, page 482) at their local comic book shop from the March PREVIEWS catalog to ensure they get it when released. 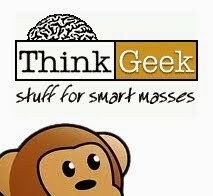 Find a comic shop at www.comicshoplocator.com.